One needs to be a lunatic to become a Christian, the 19th century Danish philosopher Soren Kierkegaard once observed. Had he lived in the 20th century he might have discerned even more of an obstacle to faith. For during the last century the human condition changed more rapidly than during any previous era, taking that condition far away from the historical circumstances in which Christianity was born. 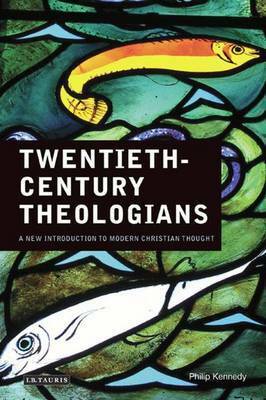 In his new book Philip Kennedy explores the ways Christian theologians of the 20th century tried to live a productive religious life in a world overtaken by massive upheaval and innovation.The book is distinctive in a number of respects. First, it differs from other surveys of theology by adopting a biographical method, examining the lives of its subjects in historical context. 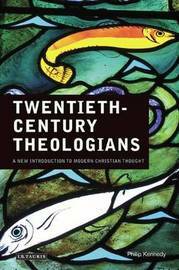 Second, it is more progressive than its competitors, covering many theologians other than white male professors - especially women - who have worked outside the academy or on the margins of the churches. Third, it is international, focusing on theologians in all the continents of the world rather than just Europe or North America. Fourth, it makes no assumptions that its readers are religious or that theology is uniquely credible. There is a need for a sensitive new textbook reassessing the subject in the light of modern concerns and scepticism about religion. This book meets that need. Philip Kennedy teaches modern theology in the University of Oxford. He is the author of a volume introducing students to the thought of Edward Schillebeeckx and of 'A Modern Introduction to Theology: New Questions for Old Beliefs' (I.B.Tauris).